Nothing but shrimp! 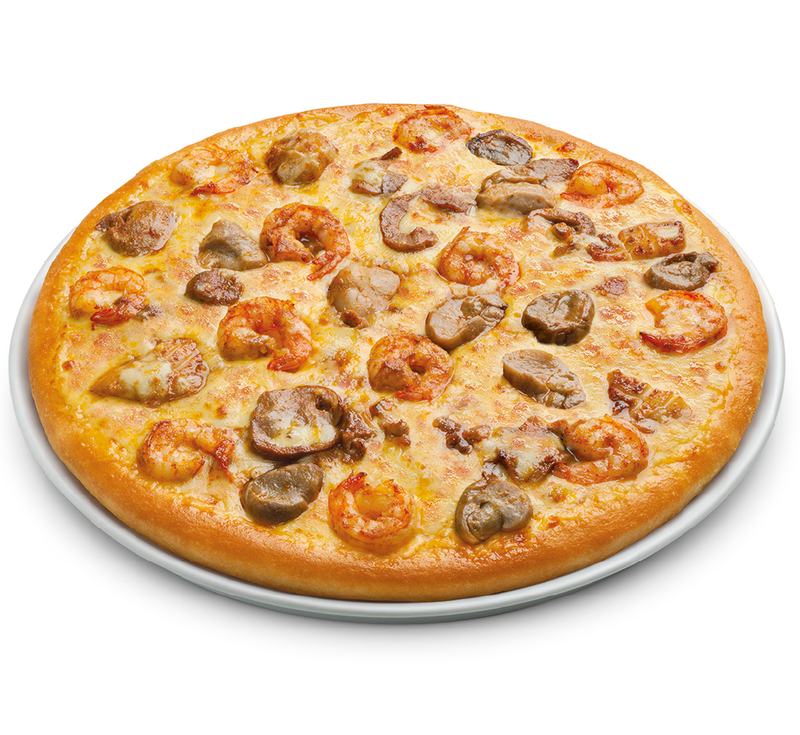 Enjoy them with delicious champignon mushroom, juicy pineapple, fresh tomatoes and Thousand Island sauce. Variety is the keyword for the creation! 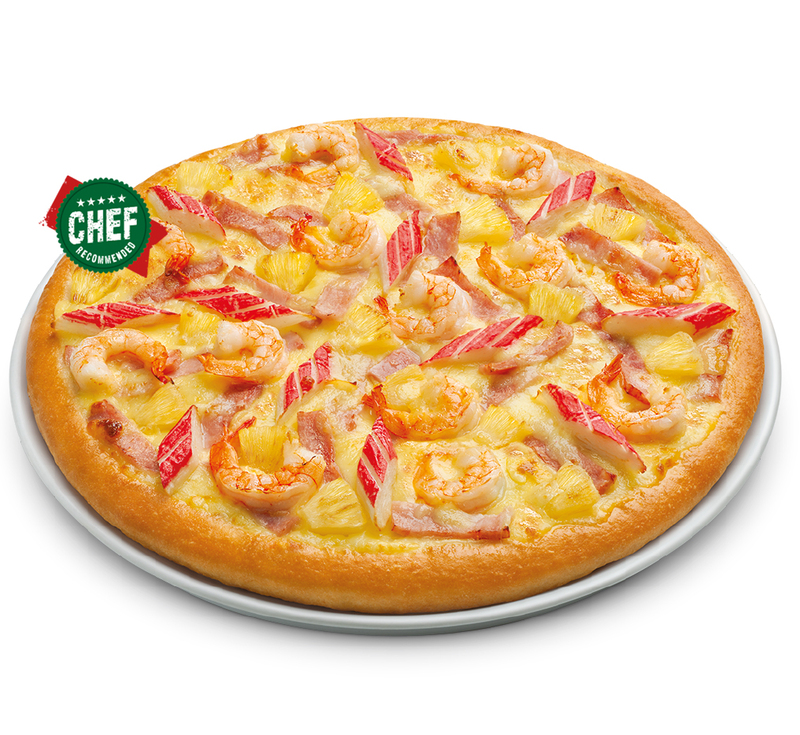 Fresh prawns, succulent crab sticks, ham and juicy pineapples in Thousand Island sauce. Lovely! 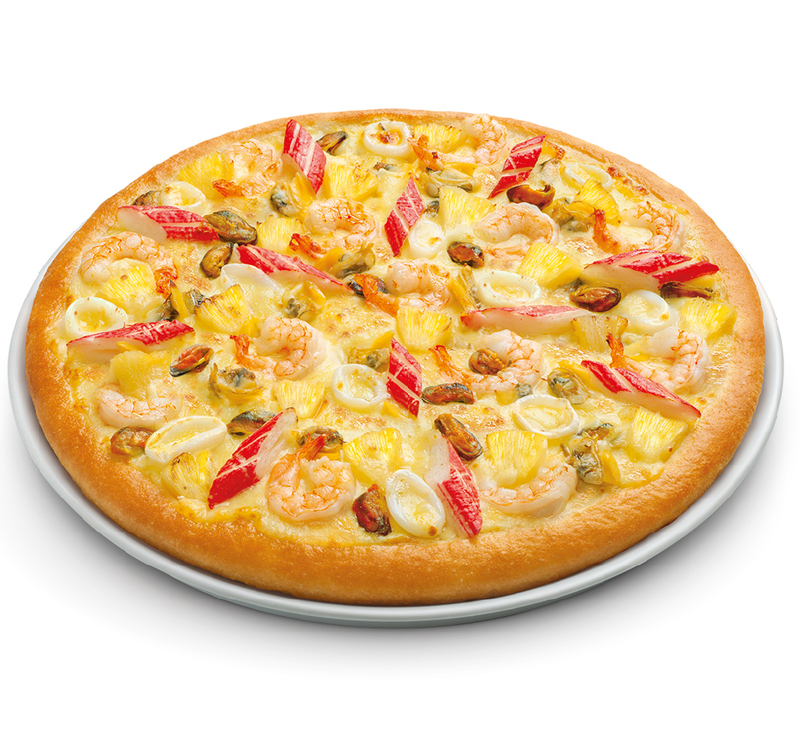 An authentic east-meets-west pizza indeed! Combining spicy Tom Yum’s chili paste with fresh prawns, calamari and mushrooms so “Yummy” you will want more! Only at The Pizza Company. 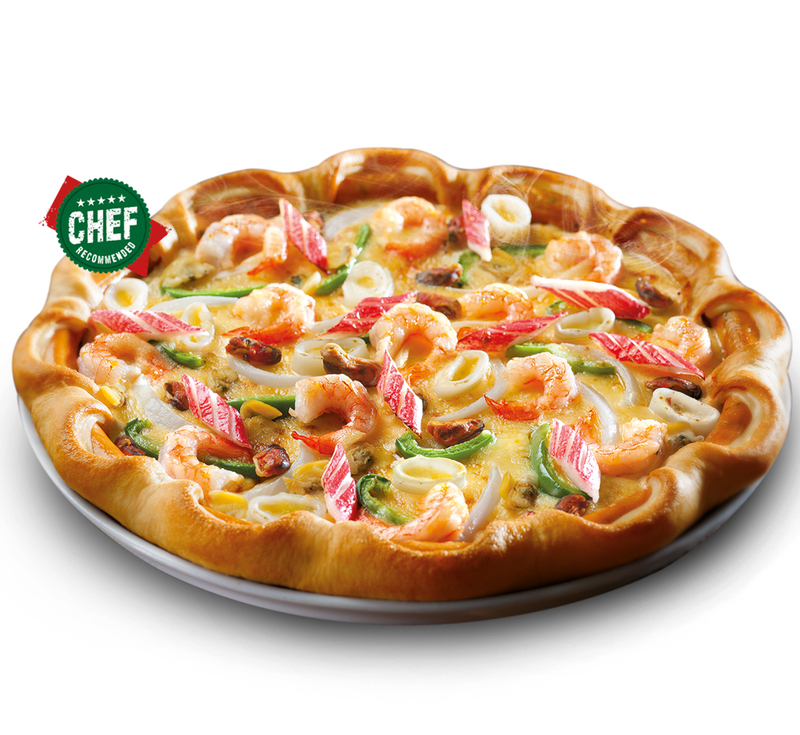 Topped with lots of fresh prawns, crab sticks, mussels and calamari with Marinara sauce. It’s a real seafood parade. 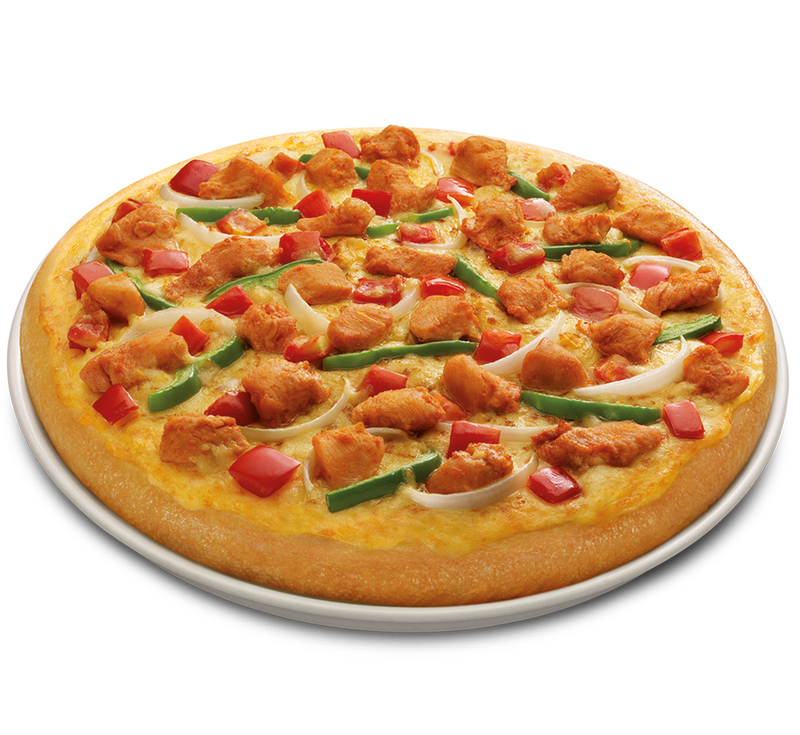 A lovely pizza that gives the full flavors of marinade chicken in BBQ sauce, sprinkled with onions, sweet peppers, red and green capsicums. Simply Yummy! 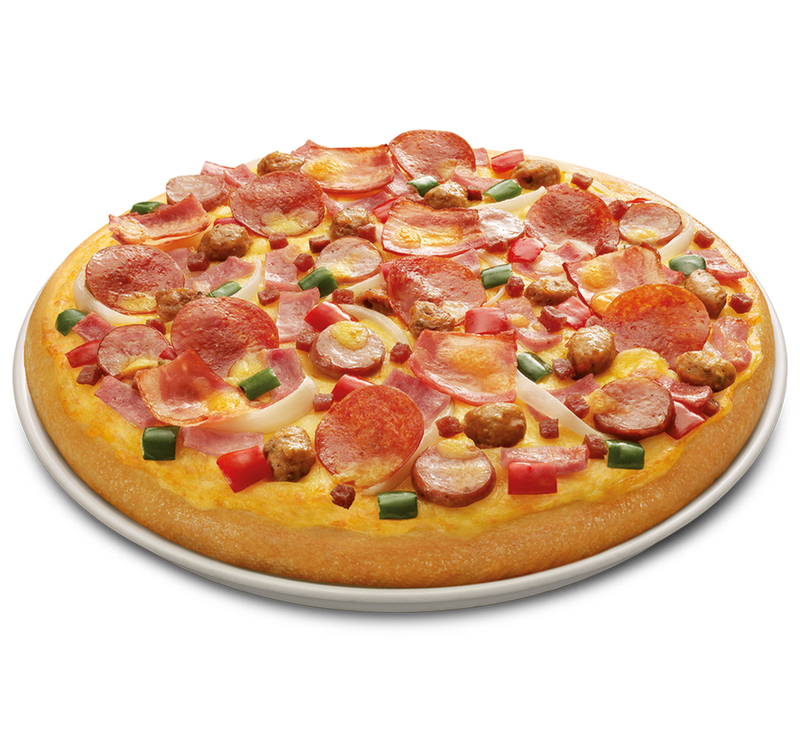 A Pizza with pork and Italian sausages marinade in BBQ sauce, sprinkled with sweet peppers, onions, red and green capsicums in BBQ sauce – all baked to perfection. 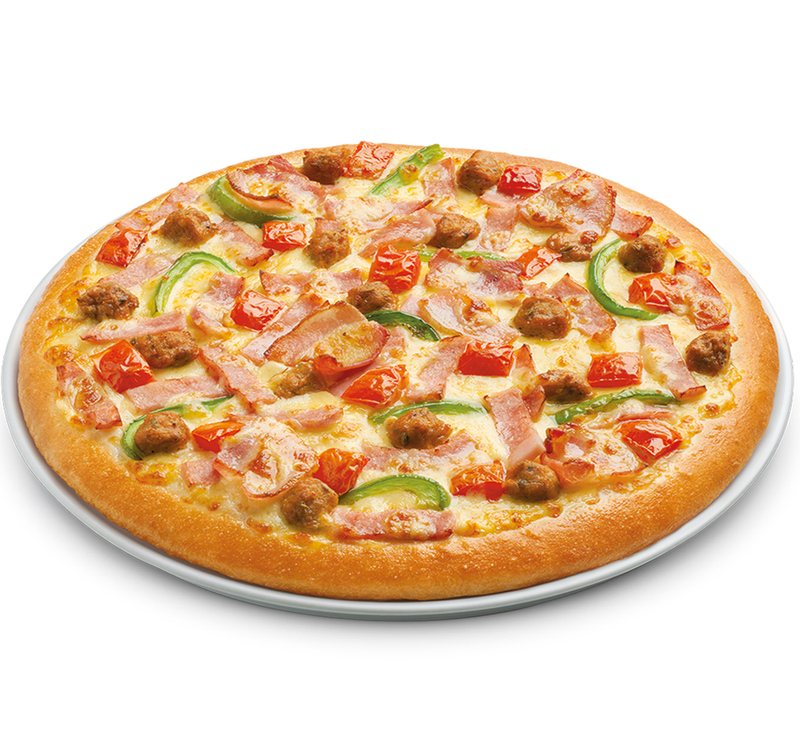 Italian sausage, bacon, ham, green capsicums and tomatoes. Delightful until the very last piece.